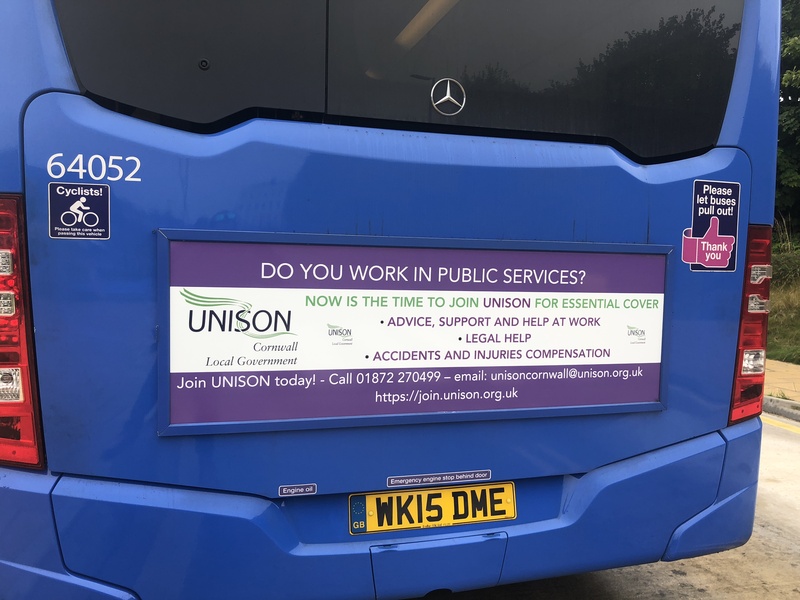 We welcome Unison with their new advertising campaign on the back of the Truro Park and Ride buses. With the Park and Ride route through the Treliske hospital site. This is the perfect location for them to advertise. Targeting hospital users and the wider general public the Bus Backs are exactly what they are looking for.